A newly launched, poorly designed MLM that tries to target a premium audience and doesn’t really succeed. This particular MLM can’t even make it clear what products you are supposed to be promoting or what is involved in promoting them. Instead, the site offers two different sets of products, one set that looks sub-standard and one set that isn’t even properly explained. This would make it very difficult to make any sales or make any money with the company. Uno Premier has a strong emphasis on the concept of the company and the opportunity, and there isn’t much emphasis on the products at all. Basically, the company appears to offer four different products, although the amount of information actually given about the products is slim. For example, one of the products is Nutrifab, which appears to be basically a weight loss supplement in the form of a pickled plum (which is a little unusual). 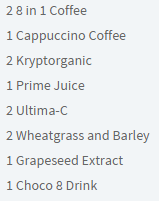 The product page contains lots of hype about Nutrifab, but gives no information about how it works, what it costs or what ingredients it contains. This is the same for all of the products on the site. Normally I try to look at the prices of the products of a MLM, but in this case it isn’t really possible, because the site doesn’t offer this information. 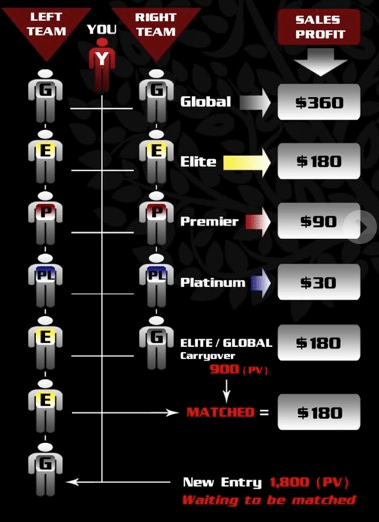 The only pricing that the site does offer is four different packages, called Platinum ($309), Premier ($925), Premier Elite ($1,741) and Global Premier ($3,404). These packages seem to contain other products, presumably also from Uno Premier. The prices though are kind of insane. This means that you’re paying $309 for a grand total of 12 items. The more expensive packages are just multiples of this, and for the $3,404 package, you end up with 150 items from the same set of products. To make matters worse, the site offers no indication of what these products are, what they contain or why you would actually want to buy them. As far as I can tell, the products being sold in the packages are from the MLM Uno, which is apparently the parent company for Uno Premier. It isn’t at all clear why Uno Premier appears to be trying to promote both sets of products on its site, especially as there is no ability to buy the four ‘premier’ products off the site at all. Regardless of which set of products you look at, there really isn’t that much appeal. The ‘premier’ products look nicer, but there is no indication of whether they actually do anything useful. In contrast, the Uno products look like they were designed 10 years ago and would be difficult to sell. 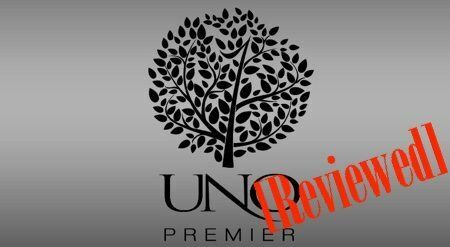 Uno Premier is a new MLM on the scene and it seems to have a strong emphasis on being luxury or premier. The images on the homepage are an indication of this, with lots of glitz, glamor and little substance. Yet, for all of this, there are some things about the site and its opportunity that simply don’t ring true. For example, the pages for individual products are poorly formatted, they’re not very convincing and they have lots of text with few images. Those are all very bad approaches for marketing. Even the logo is done poorly with pixellated fonts. As with any other MLM, the concept is to sell products and to recruit others into the company. The first element of this is direct selling, where members earn 30% of the retail profits for the products sold. Of course, the company isn’t at all clear on what the retail profit actually entails. With every step after that, the compensation plan starts to get more complicated. For example, one part of the concept is having a left and a right team of people that you recruit, where you earn a bonus if they match. MLMs have a tendency to make commission schemes much more complicated than they need to be. An important thing to note is that Uno Premier does require autoship, so you have to automatically order packages each month to be able to earn, regardless of whether you are making sales or not. 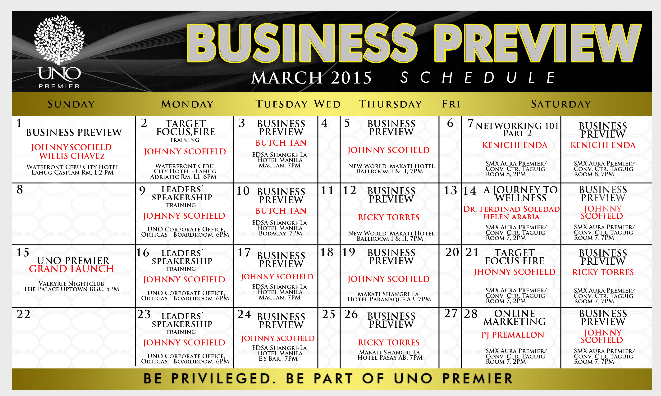 Uno Premier boasts ten different ways of earning money, but this isn’t really accurate. Instead, the two main ways are recruiting others and selling products directly, and actually earning money with the company probably involves doing both. The rest of the advertised approaches are all different bonus schemes that get increasingly complex and involve increasingly more investments of time and money. Uno Premier doesn’t really make anything clear. There is a lot of hype on the site about the compensation plan and the products, but there is no real follow through. Not only are the prices for the packages incredibly high, but the site offers no real indication about what you are supposed to be doing or how you make money. In fact, it isn’t even completely clear which set of products members are supposed to be selling. I know that the company only launched recently, but this is a concerning launch and it is a pretty big indication that the company isn’t one to be trusted. Uno Premier seems to be a spin-off of the Uno MLM and this might be why the site seems to assume that readers already know about the products and compensation approaches (although it isn’t clear whether they are the same or not). The site is poorly designed and the information that you need to make a decision simply isn’t there. MLMs can be expensive, complicated and very time consuming. You certainly shouldn’t get involved in one if it isn’t clear what it has to offer or how it works. 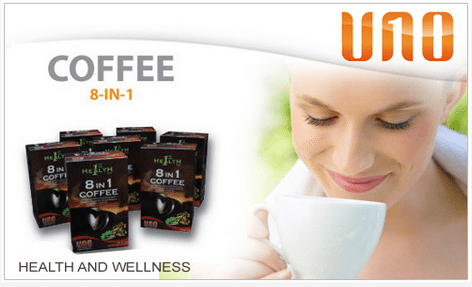 Uno Premier is the latest in a long line of MLM companies, all of which promote very similar approaches. It is possible to earn money as a rep for a MLM company, but doing so means that you have to rely on the company and work very hard to make money. In particular, scaling up how much money you make with a MLM involves recruiting more people and managing a much larger team. This means a lot more work. In contrast, another way of earning money is affiliate marketing. Affiliate marketing has a number of advantages, including the fact that you don’t have to try and sell products to friends and family members, and that you’re not trying to recruit others. Affiliate marketing also scales up better, and you can get to the point where you outsource most of your work and still turn a profit. It really is a fantastic approach and it costs much less to get started and be successful than a MLM does. In fact, a domain name for a website costs just $11/year. You also get to promote products that are decent and truly believe in. See how to start your first affiliate website and get assistance from me and other members of the community.